It was a pretty average gray day that did nothing to hint at the wonders to come. Expectations were high for Shifting the Paradigm Forum 2018: Growing the native plant industry through innovation and collaboration. Originally St. Williams Nursery was government owned and run until it was sold off during the Harris years. 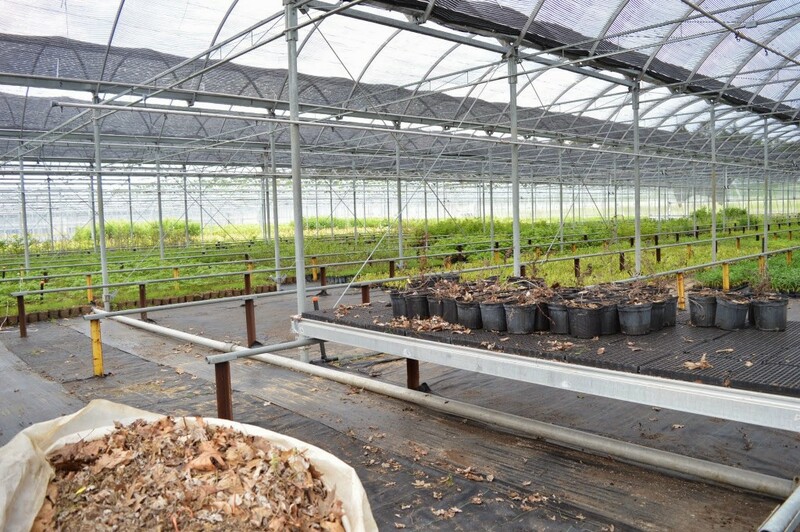 With a capacity to produce 40 million conifer seedlings and 400 acres of field production this nursery still is the go to place for source identified seed and plants in southern Ontario. Allan provided examples from the Iowa where state funds have gone into researching and developing native plant projects along highways. This is also being done here too through the Ministry of Transporation. The big takeaway was Arthur’s desire for native plants to go mainstream, the huge potential for native plants in green infrastructure (especially green roofs) and need for collaboration to get the ball rolling. 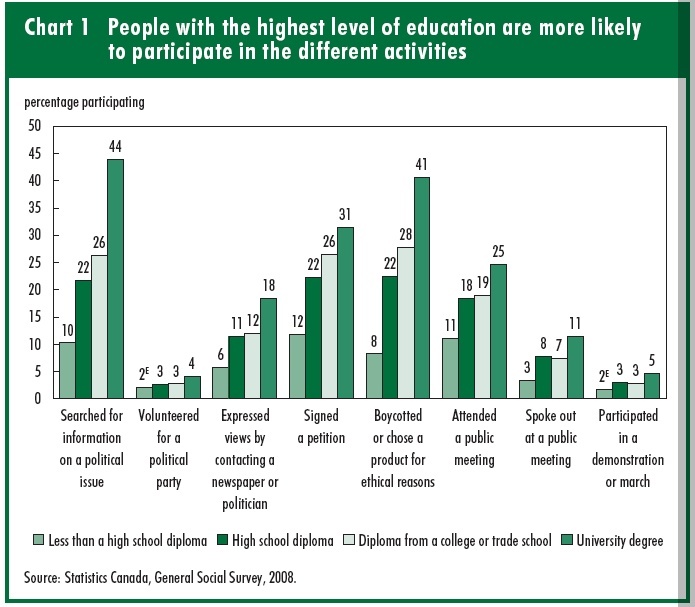 the need and desire among all parties to collaborate (great news and perhaps the beginning of a new chapter?). everyone agreed it is really difficult to forecast the market and respond to demand that can be fickle. The following is a selection of quotes from the discussion to give you a sense of it. For the complete story check out my live tweets from march 7th. The first question to the panel posed by Jarama was “what are the barriers to increasing native plants in the supply chain?” The following are some notes and quotes from the panelists. Had I been on the panel I would have added that conventional nurseries will react positively to increased demand. Therefore a reasonable strategy for conservationists would be to engage landscape contractors, landscape architects and horticulturalists to specify more native plants on the jobs they are working on. Using ecological references are a useful tool for plant selection and have great potential for use in forecasting (this was part of the “meeting after the meeting” with Stefan Weber who also agrees). The labeling discussion has been going on for years and will need to be resolved one way or another. Carolinian Canada unveiled there “in the zone” tag. Meanwhile the panel agreed that 3rd party verification would be helpful. 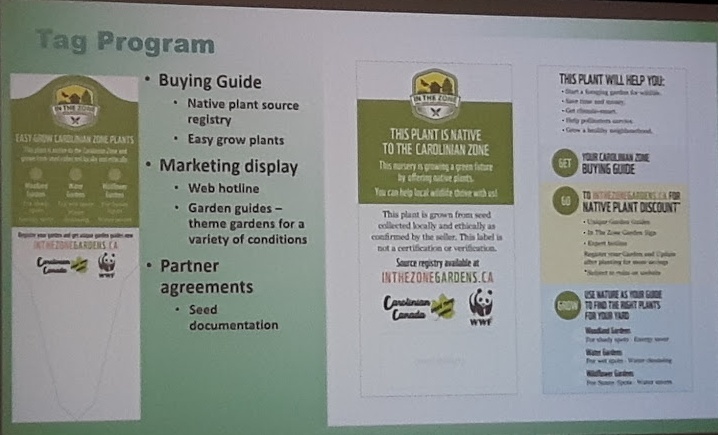 Melissa Spearling reminded us that 3rd party verification that recognized the importance of provenance was attempted in 1998 with “Ontario Natural Selections” but did not gain popularity because small nurseries couldn’t assume the cost and time consuming documentation. Panelist Patricia Landry mentioned that 3rd party certification would be helpful when volunteers are ready to plant and contractors often attempt to substitute plants last minute. 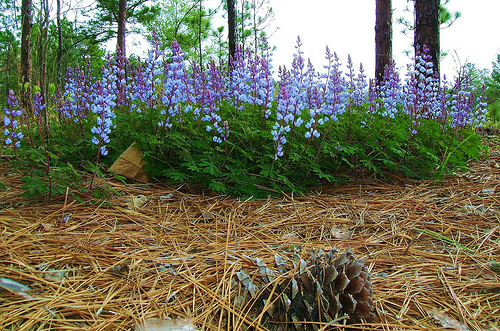 Will increased demand for native plants only expose short supply? During lunch break Steve Smith from Urban Forest Associates and Melissa Spearing from Forest Gene Conservation Association and I were talking about the challenges sourcing native plants in quantity for projects (by the way in her other life Spearing has figured out how to grow native ginger in quantity, but that is another story). My take home here is the contradiction between the goal of increasing demand but also recognizing the limited supply (kind of reminds me of our current public transit debate). Dr. Longboat brought us back after lunch and told us about the importance of consulting with first nations and that he personally looks forward a beneficial relationship that would have first nation children collecting seed rather than selling cigarettes. It really struck me how integrated first nations were on this day. First nations were represented on the panels, opening and closing remarks and frankly this was refreshing as I have been to many horticulture/ecology related events and noticed the absence of first nations and the general “whiteness” of the participants. Credit to the organizers for taking this approach, having first nations added so much to the day! This turned out to be a wonderful panel with a great cast of colourful characters, however, I did notice the absence of more conventional growers/large scale wholesalers (maybe next time?) The following are quotes and notes from the panelists. On collaboration Ian Payne added “there are no strangers in the room just friends we haven’t met yet this is a great chance for you to meet the person next to you.” I did just that and heard an interesting story. This somewhat misses the point. I don’t want to waste much time on it here but humans are the biggest vectors of plants all time. full stop. While it is useful for conservation purposes to make distinctions it is highly problematic in an urban setting. It is much more useful to make use of an ecological reference to inform a palette of appropriate plants and even then it still doesn’t account for salt, garbage, people and cars. Our next panel focused how to scale up. 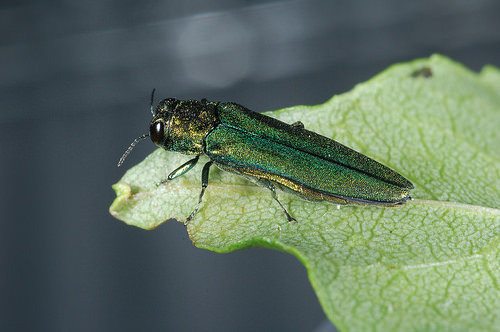 Michele Kanter commented on a crucial point “we are only halfway to the goal of 30% native habitat to reach minimum federal standard for healthy ecosystems. since we are 97% private land that means we need to crowd source habitat.” The key point here is how important it will be to engage with private landowners. Michele Kanter provided a pretty good overview of Carolinian Canada’s action plan to increase native habitat in Ontario. Kanter introduced the big picture collaborative, where conservation efforts include matching different partners together and reaching out to gardeners and the horticultural sector (this is a big change and I was very excited about this development). It seemed really important to give Bruce Stonefish his own section. The following are some notes and quotes from the rest of the panelists. 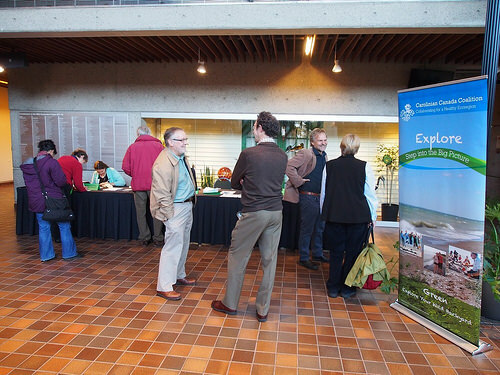 Phil Davies from lake Simcoe Region Conservation Authority (SRCA) is a manager in the Forestry and Stewarship division. According to Davies “SRCA have always focused on native plants for improving biodiversity, since we often plant on those sites and walk away (the old plant it and forget it)”. Cara Webster spoke next saying “I oversee our street tree planting program. I work in the urban forest renewal section. Our goal is to increase to 40% cover to do this we plant 120,000 trees and shrubs per year, this puts a lot of pressure on the trades to supply our needs. 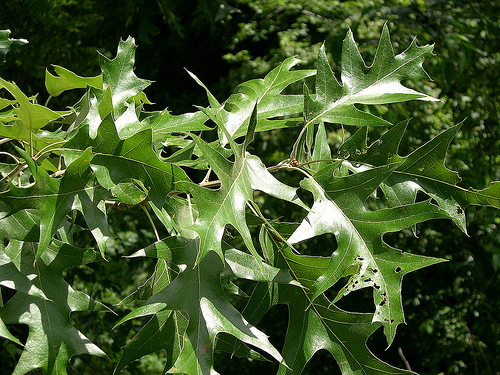 We do have a small nursery that supplies plants for High Park Black Oak Savannah. It seems that the trade is getting smaller especially herbaceous plants. its an eyeopener to see how much work goes into seed forecasting, storage and production. We are running out of space and going to subsidize Leaf with their back yard tree planting program. What does the panel think about the In The Zone tag? The most useful tool for selling native plant communities in urban areas is the use of ecological references (see a little more on this below). Take a page from the local/organic food movement strategy. Meet with (very) smart people who understand the mind of consumers who buy local/organic to come up with the right copy/art for this campaign. Dr. Longboat continued on to tell us about a child he met a who told him “teach me so I will get to know it, for if I can’t love it how can I care for it?” (wow!!! this is crazy good!) Closing ceremony included a blessing. I won’t tweet it but it was very special. According to Stefan the other main challenges are forecasting, monitoring, restorations failures, availability of bulk seed, introductions of nativars adjacent to native populations such as with Sycamore. According to Webber “Some regionally rare plants are great for urban areas as they thrive in poor soils.” Quercus muehlenbergii for example grows in limestone soils in southern Ontario (in a follow up phone call with Cara Webster I was able to confirm that 200 Quercus muehlenbergii have been planted in Toronto since 2013 and that another 50 are scheduled to be planted this year). Moving onto solutions Webber outlined a future where horticulture can and should be used grow plants for seeds in a large plantations (seed orchards). 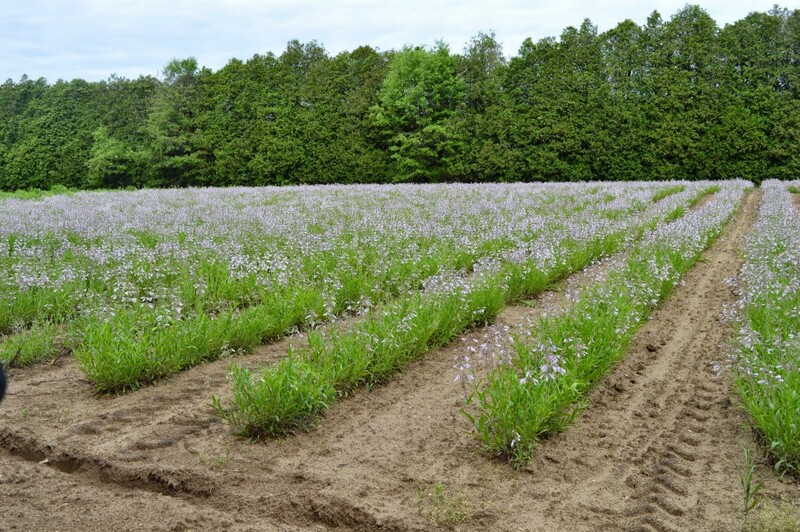 St Williams Nursery has over 100 acres of seed orchards to provide bulk seed for restoration projects. 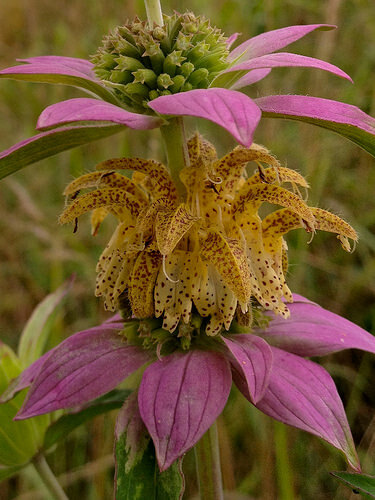 According to Webber, St. Williams is currently growing 300 species including Spotted bee balm, bee blossom and sundial lupine. 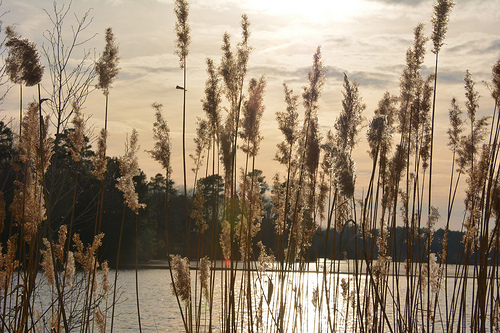 there is lots of capital that can be allocated for conservation projects. projects need to find innovative ways to create returns for investors (Great Bear Rainforest). finding a good match means partnering with patient money for the long term. In the “meeting after the meeting” I discovered that additional meetings were planned for the following day. A follow up phone call indicated that the meetings went well. This bodes well for efforts to establish a strong vibrant market for native plants in Ontario (here’s hoping). What an amazing summary of the day, Jonas! You are an ace reporter :). Thank you for doing this. P.S. 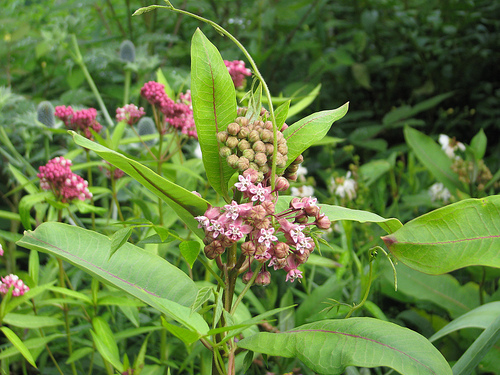 There were a number of references during the event (e.g., the Quebec cooperative growing milkweed) that I hadn’t been sure of the name of, and for which you helpfully provided links. Many thanks. it took some time digging around happy to hear you find it useful. 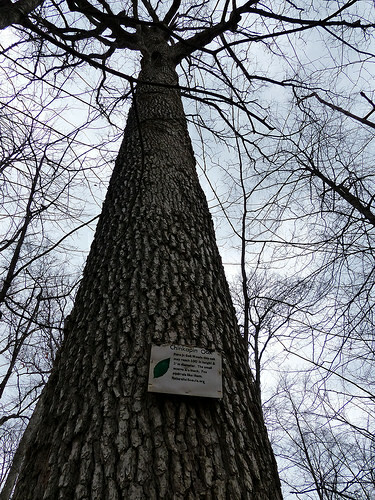 Pingback: UFORA Helps Bring Native Plants Mainstream | Urban Forest Associates Inc. Thanks for the great writeup, Jonas! I had been hearing from others how succesful and inspiring this event was, now I’ve got it from you first-hand. thank Clement. hopefully it was the first of many. Whether it’s about working together, a testimonial, ways we can improve, or just a how-do-ya-do – please reach out! Made with love by Hypenotic.